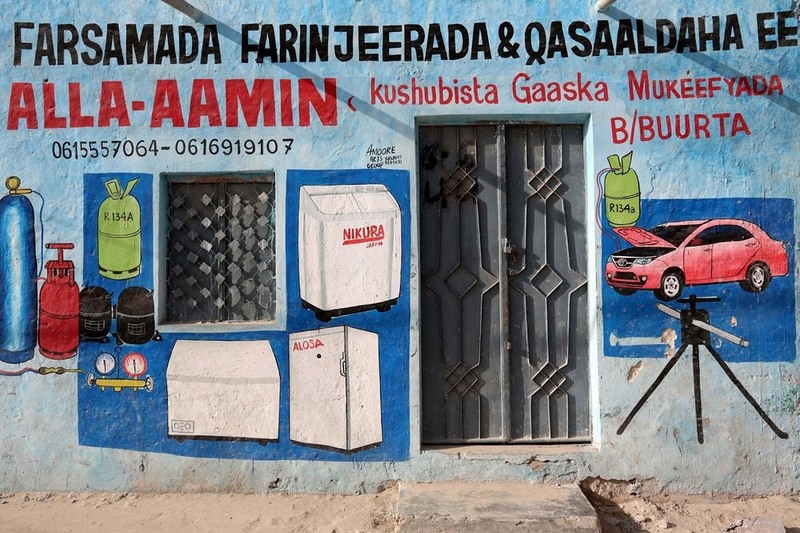 Many businesses and shopkeepers in Somalia—which is one of the world’s poorest nations—cannot afford luxuries such as backlit signs and vinyl posters to advertise their products and services. 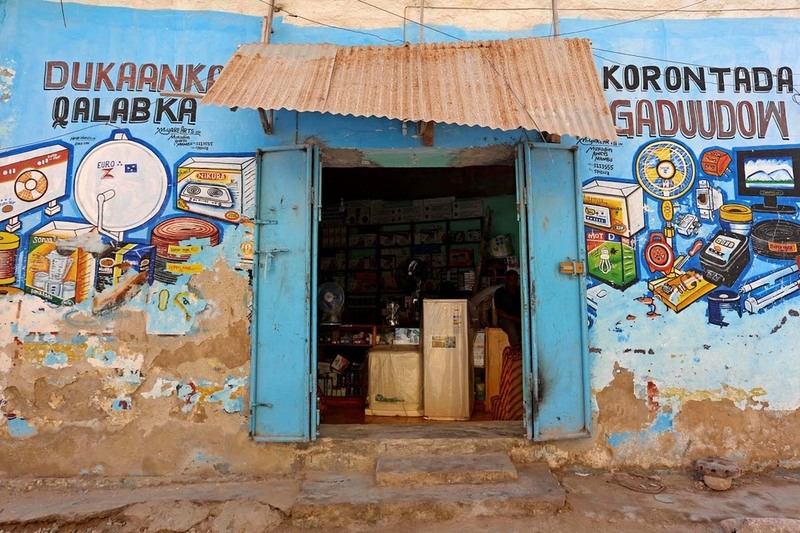 They instead rely on local artists to decorate their storefronts. 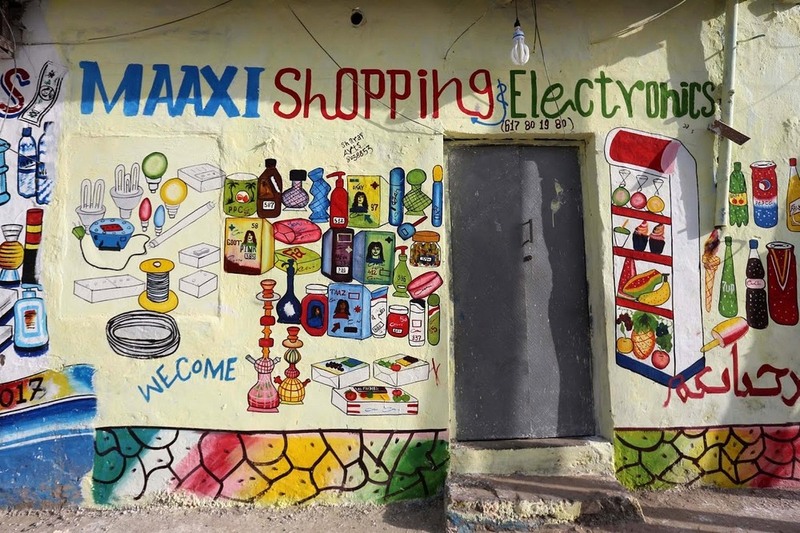 Low literacy rate requires that these hand painted signs be accompanied with visual depictions of the products they sell. 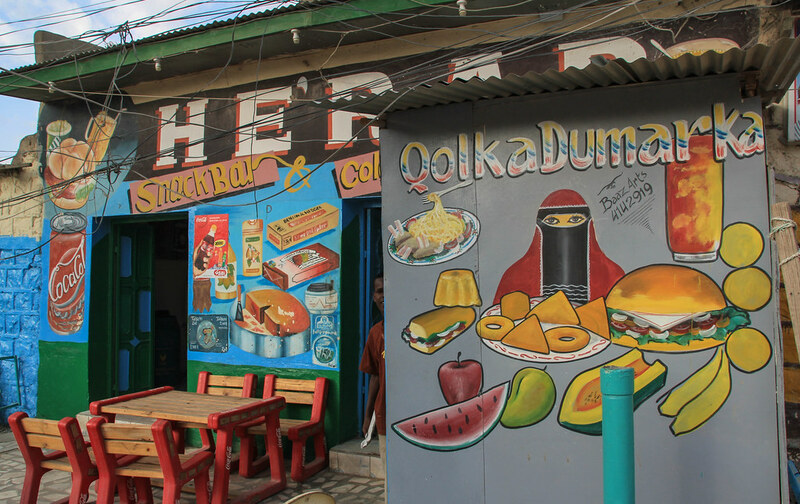 Visit any major city or town in Somalia and you will be swamped by these artworks—hundreds of them in vibrant, saturated colors gracing the walls of little shops, barbers and restaurants. 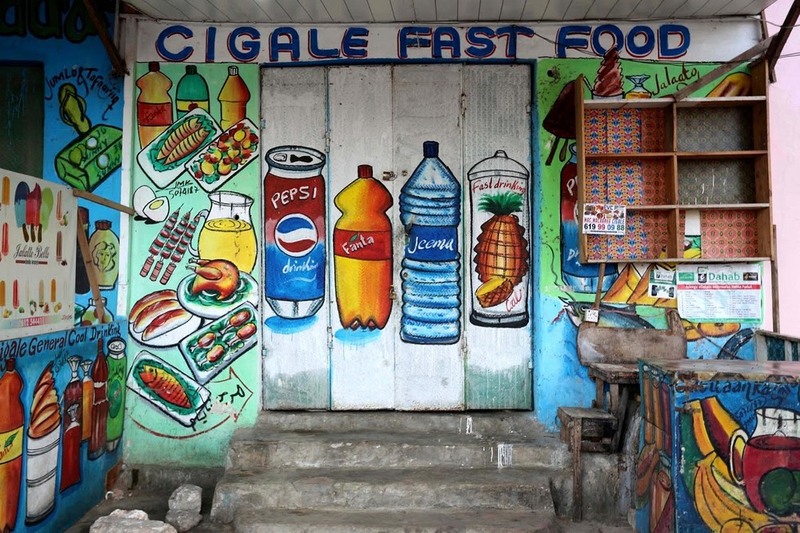 A grocery store will have every kind of foodstuff and beverages, as many as space allows, painted on the wall. 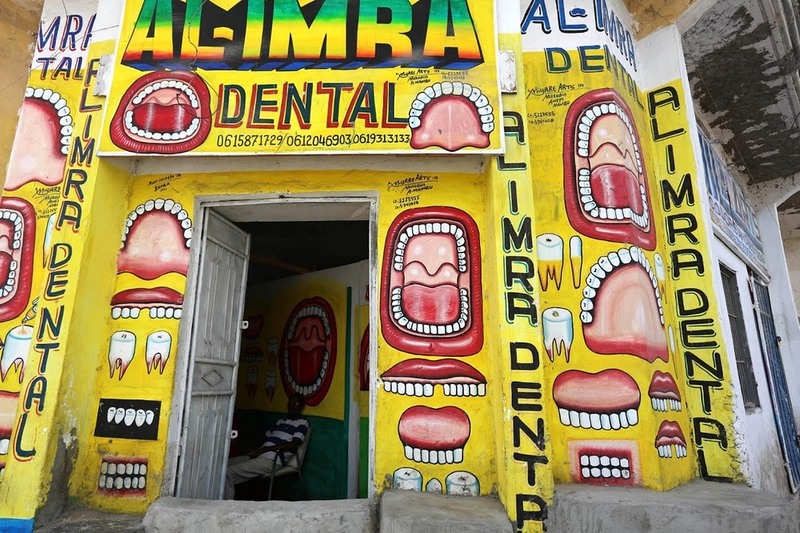 A dentist’s clinic in Mogadishu is decked with murals of anatomically incorrect wide-open mouths of all shapes and sizes showing shiny white teeth. 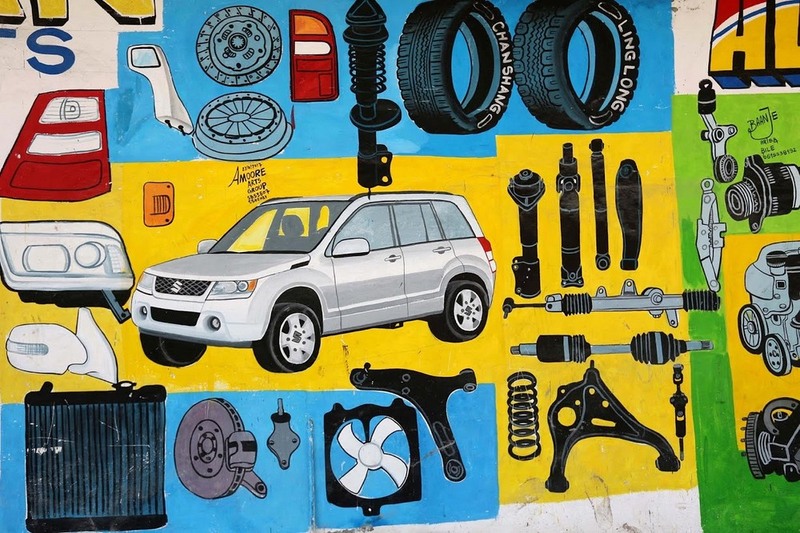 There are murals of electronic appliances, vehicle spare parts, beauty products, and foreign exchange services. 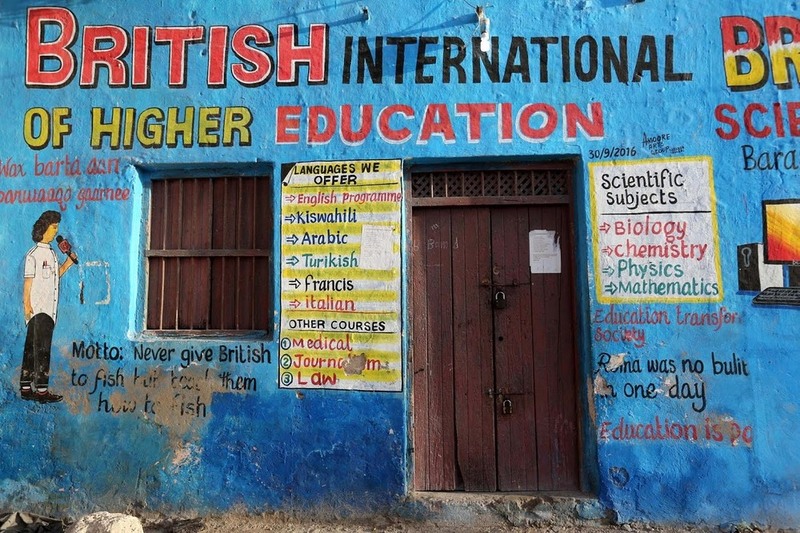 English tutors advertise their expertise with a muddle of strange quotes full of grammatical and spelling errors. 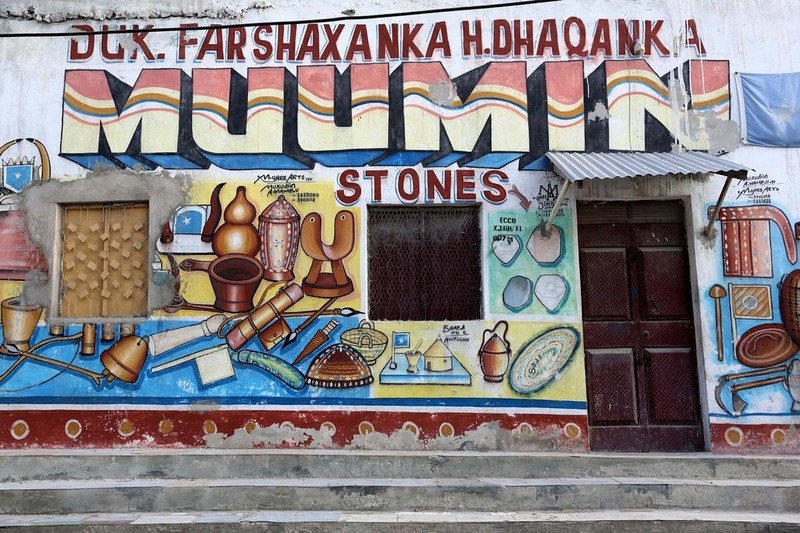 Hand-painted signs gained popularity during the 1990s when Somalia was engulfed in a civil war after the collapse of the country’s military dictatorship in 1991. 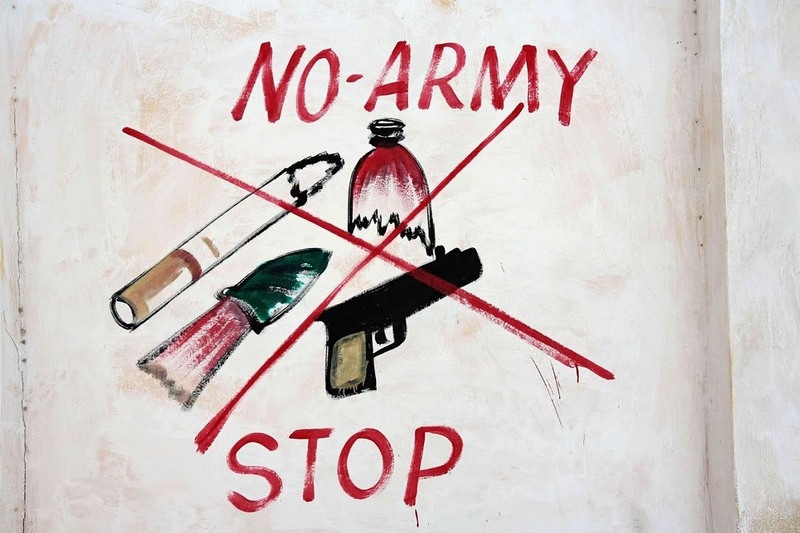 Artists who couldn’t sell their paintings after the breakout of the civil war offered their talent to local businesses. 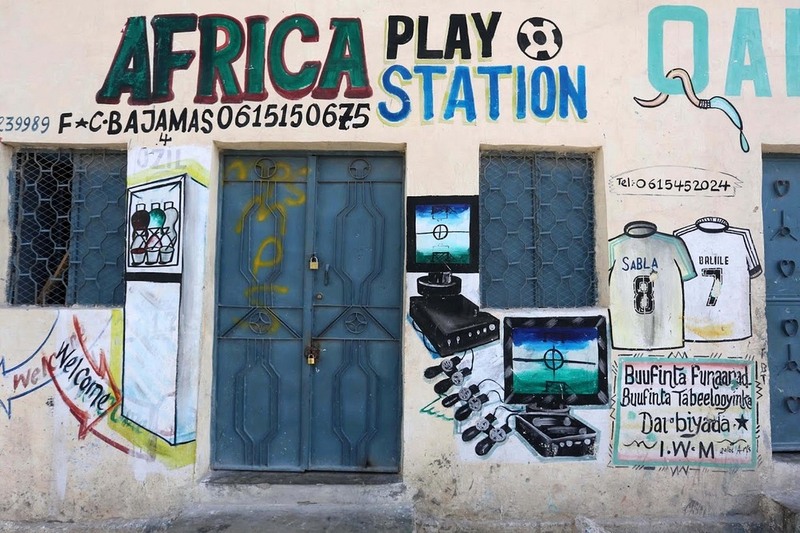 Muawiye Hussein Sidow, a muralist in Mogadishu, has been painting the city’s storefront since 1998. 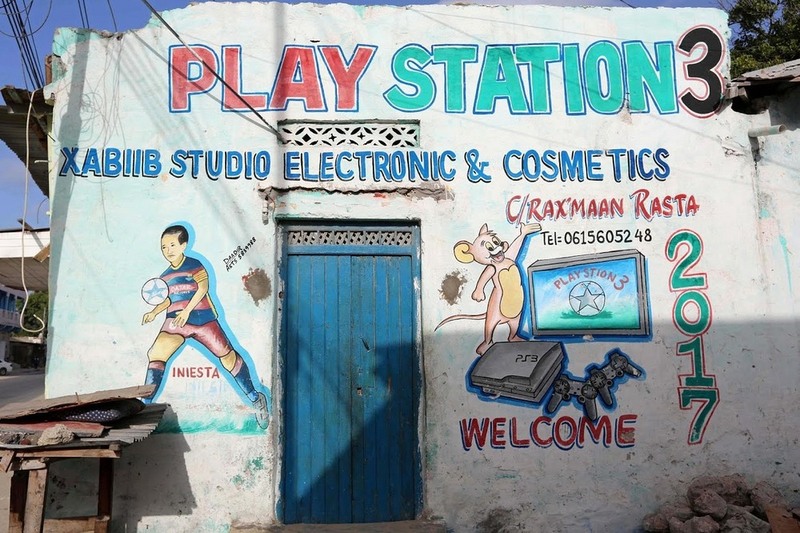 The money he earns helps him feed his wife and three kids. 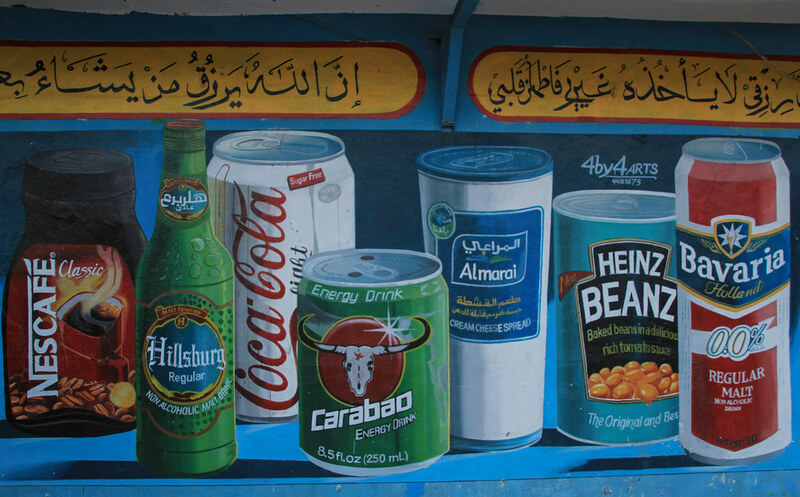 He also takes care of his father who was an artist himself. 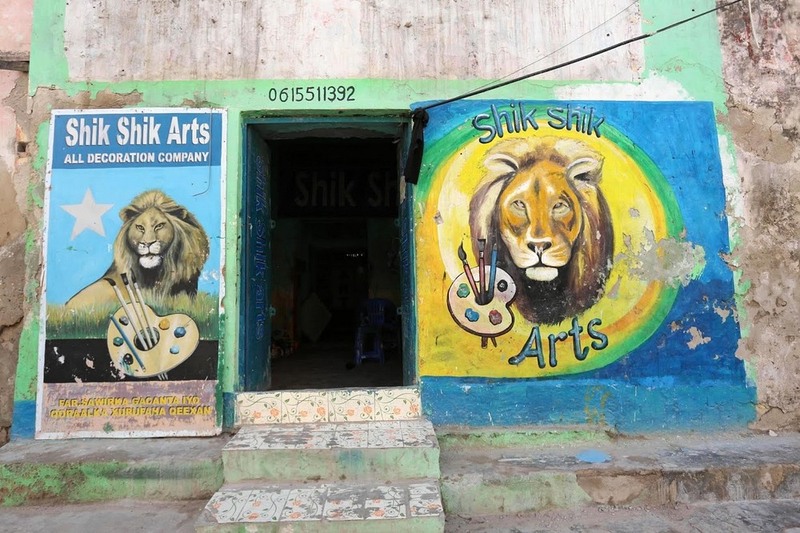 Sidow, who goes by the name 'Shik Shik', also teaches others how to paint so that they could earn their own living. 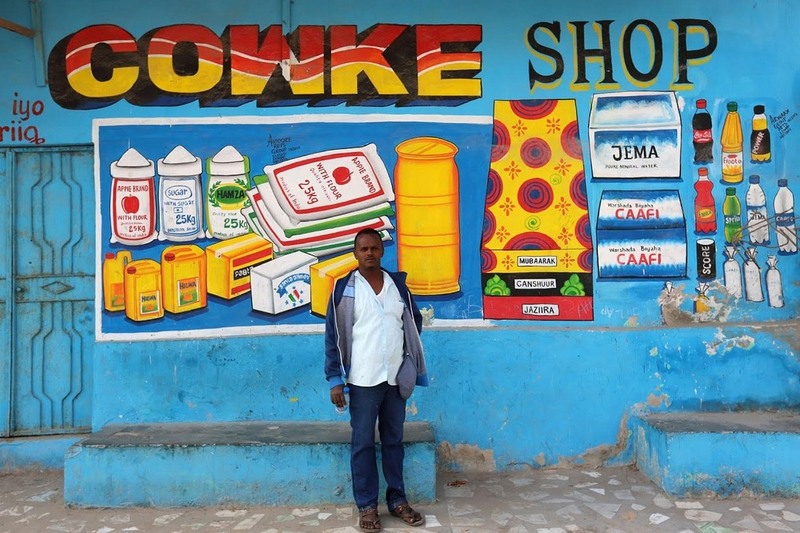 He is responsible for the artworks on more than 100 shops as well as supermarkets across Mogadishu. 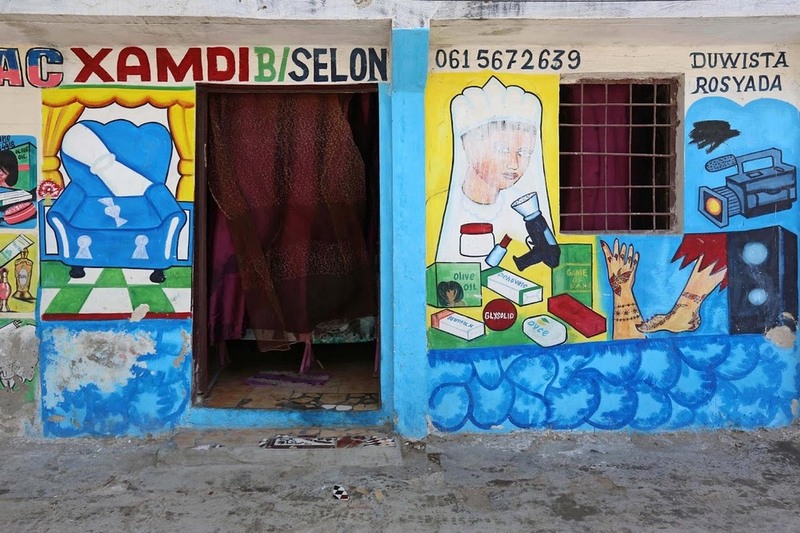 Sidow hopes that someday he will make pictures in the neighboring countries as well.